Sometimes it happens that we need to save a image or a screenshot from our phone and we cant do that and in order to resolve this problem tricksage.blog has brought an awesome trick to take screenshot and save without using any software and you can learn this trick with easy screenshots illustrations. Go to Settings in your android phone. 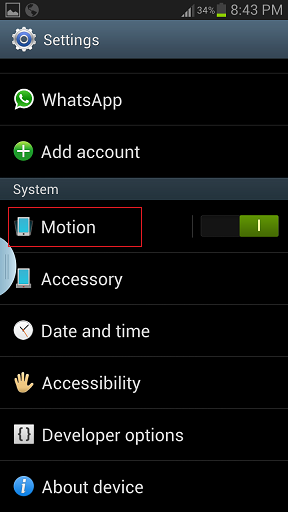 Now go to Motion settings given under System settings. 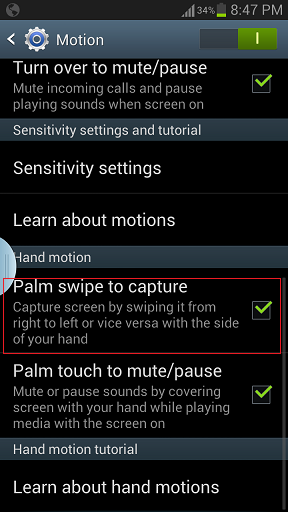 Scroll down the motion settings until you see Hand Motion settings. 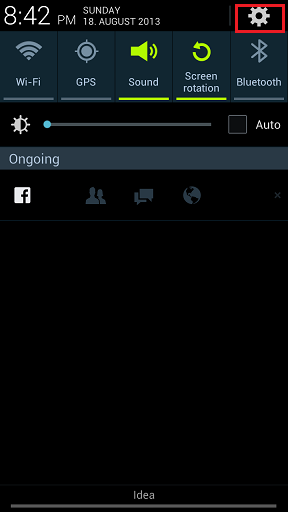 Now you have successfully configured android device settings to take screenshots. 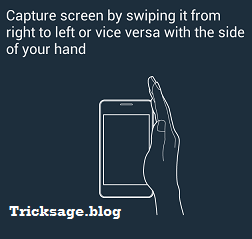 When ever your want to take screenshot in your android device like Samsung Galaxy s3, just swipe screen with your palm from left to right or vice versa. This will take screenshot of the active screen on your android phone. 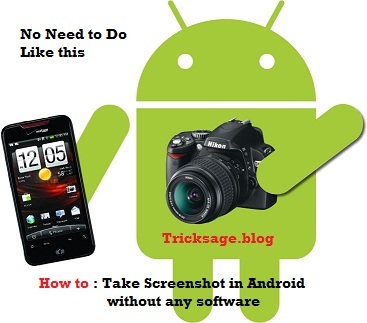 In this way you can take screenshot on your android phone of active screen without installing any extra software or application.